Dr. David Ayoub used to be active in the anti-vaccination movement. Now he’s challenging mainstream science again — as an expert witness for accused child abusers. This story is a collaboration between ProPublica and The New Yorker. On the morning of April 19, 2016, Melanie Lilliston received an urgent call from the Little Dreamers day care center, in Rockville, Maryland. Her 6-month-old daughter, Millie, was being rushed to the hospital. Doctors there found that Millie had fractured ribs, facial bruises and a severe brain injury. Melanie watched as her daughter was loaded onto a helicopter for emergency transport to Children’s National Medical Center, in Washington, D.C., where doctors discovered more injuries: a fractured leg and arm, as well as bleeding in her eyes. Millie died three days later. The day care operator, Kia Divband, told police that Millie had started choking while drinking a bottle of milk and lost consciousness. The Montgomery County medical examiner, however, determined that her injuries were caused by blunt force. Investigators discovered, on Divband’s phone and computer, internet searches for “broken bones in children” and “why are bone fractures in children sometimes hard to detect.” A former employer of Divband’s told them that the day before Millie was hospitalized, Divband had called to inquire about a job, and a baby could be heard wailing in the background. Divband told him the baby wouldn’t stop crying and that “he just couldn’t take it anymore,” the former boss recalled. Divband was arrested and charged with fatally abusing Millie. 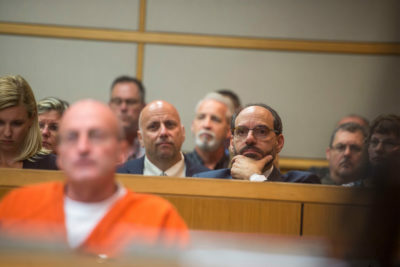 At Divband's trial, last year, a radiologist named David Ayoub testified for the defense. Ayoub, who is a partner in a private radiology practice in Springfield, Illinois, told jurors he had reviewed X-rays and other medical records, and concluded that Millie had rickets, a rare condition that causes fragile bones. The disorder, which is usually brought on by a prolonged and severe lack of vitamin D, could explain Millie’s injuries, Ayoub said. Seeking to cast doubt on Ayoub’s credibility, the prosecutor brought up a different issue. Was it true, she asked, that Ayoub believed Gavi, the Vaccine Alliance, a charity funded by the Bill and Melinda Gates Foundation to increase vaccination rates in poor countries, was committing genocide? “That’s right,” Ayoub said. As evidence, he cited a 1972 report of a commission headed by the philanthropist John D. Rockefeller III and a 1974 study overseen by then-Secretary of State Henry Kissinger, warning about the dangers of population growth. It’s “no leap of faith” to believe that vaccination is being used to carry out this agenda, Ayoub said. 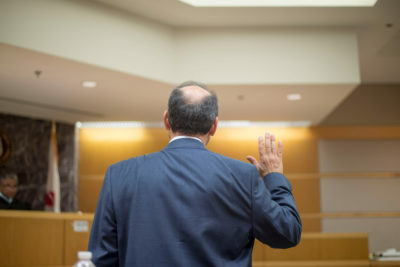 Over the last decade, Ayoub, who is 59, has become one of the most active expert witnesses in the United States on behalf of accused child abusers. He estimates that he has testified in about 80 child abuse cases in the United States, Sweden and the United Kingdom. He has consulted or written reports in hundreds more. Prior to his child abuse work, Ayoub was a prominent supporter of a movement that blames the rise in autism — the neurological and developmental disorder that starts in early childhood — on vaccinations that contain mercury, aluminum or other substances. These claims are mostly dismissed by scientists, but they have nonetheless spurred a burgeoning worldwide “anti-vaxxer” movement, which has fueled a decline in vaccination rates. Both positions reflect a deep suspicion of government and mainstream medicine as well as a rising backlash against scientific consensus in an era when misinformation quickly spreads online. Growing up in Peoria, Illinois, Ayoub was a track star who set the state high school record in the 880-yard run in 1977. As an undergraduate at the University of Illinois, he was the Big 10 conference champion in the 1,000-yard run before attending medical school there. Following an interventional radiology fellowship at the University of Iowa, Ayoub returned to Illinois in 1991 and began practicing radiology in Springfield. Opposition to vaccination is almost as old as vaccination itself. But websites like Mercola’s have helped drive the modern anti-vaccination movement. Most scientists consider vaccination one of the greatest public health advances of the 20th century, helping to control or even eradicate diseases such as smallpox, polio and measles in the U.S. Studies have found that vaccines can have side effects, but they are almost always minor, like redness and swelling. After discovering Mercola’s site, Ayoub said he went down a “rabbit hole” and read thousands of studies and documents about vaccination as he would later about rickets and child abuse. “I was that guy with Birkenstocks mumbling down the hallway,” he told me. Ayoub found particularly persuasive a 2003 report by a subcommittee of the House Committee on Government Reform, which said thimerosal, a mercury-based vaccine additive, was “likely related to the autism epidemic” and posed a risk to infants and children. The subcommittee was headed by Dan Burton, an Indiana Republican and later a Tea Party member, who said his own grandson became autistic shortly after being vaccinated. Studies have repeatedly found no link between thimerosal-containing vaccines and autism. Thimerosal was also eliminated from all childhood vaccines in the U.S., except for some flu shots, in the early 2000s. Ayoub flung himself into the anti-vaccination cause. He served as the medical director for two groups alleging safety problems with vaccines; wrote letters to newspapers; lectured at conferences; testified at legislative hearings; and was the registered agent for a political action committee funded by prominent anti-vaxxers. Its mission was to advocate for people with autism “caused by exposure to neurological toxins,” according to a filing. 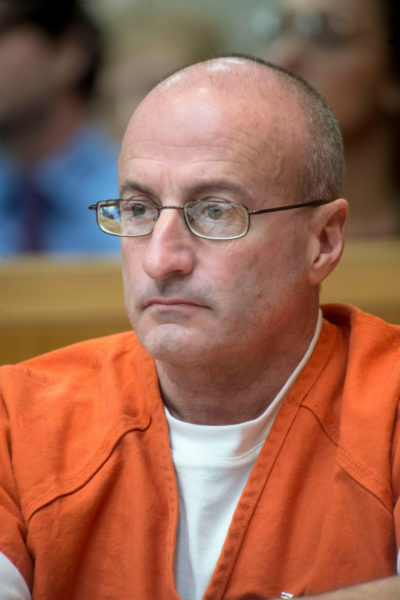 In 2008, Edward Yazbak, a Massachusetts physician and fellow anti-vaxxer who was also served as a frequent expert witness for accused child abusers, asked Ayoub to look at a case he was consulting on in which the baby had multiple fractures. (Yazbak said he isn’t opposed to vaccination, but “every good thing has bad things.”) Ayoub said the baby, who lived in Florida, had “terrible bones.” He wrote a report to the court and the case was dismissed. Soon Ayoub shifted his target from vaccinations to child abuse allegations. Besides Yazbak and Ayoub, a handful of prominent vaccination skeptics have served as expert witnesses for child abuse defendants. The Australian hematologist Michael Innis has written that many alleged cases of shaken-baby syndrome — shaking a baby out of anger or frustration — are actually vaccine-related injuries. Innis has written letters to medical journals urging doctors to refuse to vaccinate children and contending that vaccines are associated with autism. (Innis did not respond to a request for comment.) Shaken-baby syndrome has been a controversial diagnosis; in some cases, courts have overturned child abuse convictions after medical issues attributed to the syndrome were later found to result from illness or infection. In the U.S., the pathologist Mohammed Ali Al-Bayati — the author of the 1999 book “Get All the Facts: HIV Does Not Cause AIDS” — has created a business called Toxi-Health International, which provides analysis and expert testimony in child abuse cases that he says are instances of babies hurt by vaccines. Al-Bayati said he does “not have an opinion” on vaccines and simply investigates cases that are brought to him. In some cases, he said, he has determined that a vaccine caused the injuries attributed to child abuse. “I look for all the possible causes and I use functional diagnosis to eliminate all causes based on medical finding not theory,” he said. Ayoub told me that he sees ulterior motives behind many child abuse allegations. There is a “child abuse industry” that is “part of something very incomprehensible,” he said. He likened it to an organized crime ring, with social workers, doctors and prosecution experts working together to feed foster care systems engaged in a form of “for-profit child trafficking.” He said that state and county child welfare workers have a financial motive to accuse parents of child abuse because federal funding for some programs is determined by the number of cases they handle. Another reason, he said, was pedophilia. 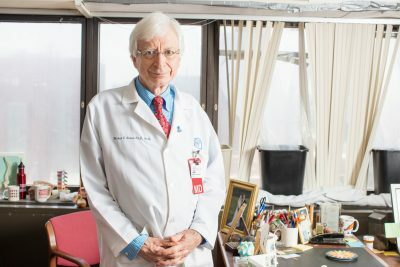 “I think there are pedophiles that are child abuse pediatricians. Some of these people are absolutely bizarre.” He added that he had read of several doctors at one prestigious U.S. hospital sexually abusing children. “Can you think of a better place to hide evil than under benevolence?” he said. 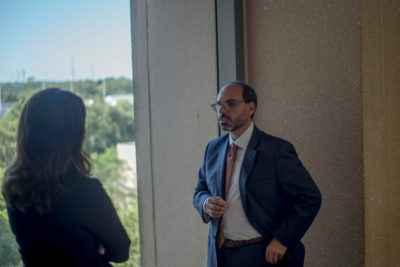 Battling the scientific consensus requires “a certain intestinal fortitude,” Ayoub said, because “it is very uncomfortable to go against popular opinion.” He added that it can be dangerous to oppose the child abuse industry. “People have been murdered over this,” he said. “Look up Nancy Schaefer.” Schaefer was a Georgia state legislator who was critical of child protective services there, calling them corrupt. She died in 2010. According to the final investigative summary prepared by the Georgia Bureau of Investigation, her husband killed her and then committed suicide. The report states he left several notes confessing to the crime. In almost all of Ayoub’s hundreds of cases, he has attributed a child’s injuries to a bone disorder. In particular, he believes that a condition known as infantile rickets is often responsible for broken bones and is dramatically underdiagnosed; many doctors fail to even explore the possibility when examining a child. Ayoub asserts that babies with infantile rickets can suffer fractured bones from “everyday handling,” such as a parent bouncing a child on his legs or changing clothes, and the condition can also result in abnormalities that are sometimes misdiagnosed as fractures. (He said he is careful to note in his court testimony that it is possible that children with bone diseases may also be victims of abuse.) Ayoub said that most of his free time is spent studying and investigating rickets. He said the infantile form of the disease starts around 5 weeks of age, peaks around 4 months and is rarely seen in children older than 8 months. It is less obvious on X-rays than rickets in older children, he said. In 2014, Ayoub co-authored an article in the American Journal of Roentgenology suggesting that a type of fracture commonly associated with child abuse was, in many cases, the result of infantile rickets. Ayoub reached this conclusion after comparing radiographic images of what were classified as fractures from abuse with those of rickets patients from other studies. The journal published three responses from pediatricians and pediatric radiologists, warning that Ayoub’s article could endanger children by mistakenly labeling instances of abuse as bone disease. “Given the stakes involved, we think that the approach of Ayoub et al. is less ‘critical’ than dangerous and that children and families deserve better,” three doctors from children’s hospitals in Boston, Philadelphia and Atlanta wrote in one letter. 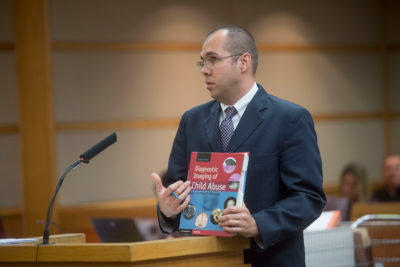 Ayoub’s article caught the attention of lawyers for James Duncan, a Floridian who had been convicted, in 1996, of 13 counts of aggravated abuse of his infant son Kody and given a 70-year prison sentence that even prosecutors considered unusually stiff. In 2015, his lawyers filed a motion to reopen the case, arguing that new information, including Ayoub’s article, proved Duncan did not hurt his son. An appeals court last year ordered an evidentiary hearing to determine whether Duncan deserved a new trial. The effort to free Duncan, who has served 22 years in prison, was the subject of an hourlong CNN special this past February. The special included an interview with Ayoub, but did not mention his anti-vaccination views. CNN did not respond to a request for comment. At the hearing last month, in Clearwater, before Circuit Judge Michael Andrews, Duncan wore an orange prison jumpsuit with a name badge clipped to his chest, and sat at a table with his lawyers. A large group of friends and relatives filled the spectator area behind him. CNN set up three cameras to record the proceedings from multiple angles. As an expert witness for Duncan, Ayoub came across as confident and practiced. Balding with a thin beard with patches of gray, he often turned to talk directly to the judge and used comparisons to everyday items — the ashes at the end of a cigarette, and a shaved carrot — to describe various bone structures. Kody Duncan, who is now 25 years old and a tennis coach at a Pennsylvania college, testified in defense of his father. Kody said that he did not believe that James Duncan abused him. He said the two talk by phone every week. 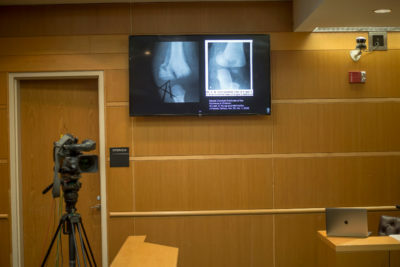 The state’s two expert witnesses, including the doctor who had evaluated Kody’s injuries at All Children’s Hospital in St. Petersburg, Florida, testified that the medical evidence of abuse was clear and the baby did not have rickets. After being separated from his father, Kody suffered no further fractures, exposing a potential weakness in Ayoub’s analysis: How could a baby who suffered more than a dozen fractures from his head to his leg owing to dangerously weak bones not have a single accidental break in the ensuing weeks, months and years? Ayoub offered several possible explanations. He said the foster parents who cared for Kody Duncan were likely more careful with him because they were told he had been injured; that it was possible Kody suffered more fractures, but they were not symptomatic and went undetected, or that his vitamin D levels rose significantly, which Ayoub said is natural among children at that age, and his bones strengthened. “So there is a window of fragility there,” Ayoub said. Shortly after starting to cross-examine Ayoub, the state prosecutor Paul Bolan asked him: “You also have some other opinions that are not in mainstream medical view as well, correct? You believe vaccines are related to autism, correct?” Ayoub never had to answer. Duncan’s attorney immediately objected to the questioning. She argued that the inquiry was “impeachment on a collateral issue.” Andrews, who is expected to rule soon on whether Duncan deserves a new trial, agreed that Ayoub’s views on vaccination were irrelevant. Other judges have also blocked prosecutors from asking Ayoub about his beliefs regarding vaccination. When Ayoub testified last year in a Massachusetts state court on behalf of a father accused of murdering his 5-month-old son, the prosecutor asked Ayoub if vaccines and autism were something he worked extensively on. The defense objected, and the judge ordered the lawyers to a sidebar where jurors could not hear them. The judge wanted to know why she should allow the prosecutor to continue asking about Ayoub’s vaccination work, according to a trial transcript. The prosecutor said Ayoub had lectured extensively on “the link between vaccines and autism in an area that he really had no training or expertise in. And the Commonwealth is seeking to show that he flits from subject to subject. He was an autism-vaccine guy and now he’s the metabolic-bone-disease guy.” The judge instructed the prosecutor to drop the subject. Ayoub went on to testify in the case that ordinary handling of a child with a “severe bone-fragility disorder,” namely rickets, could have caused the fractures. 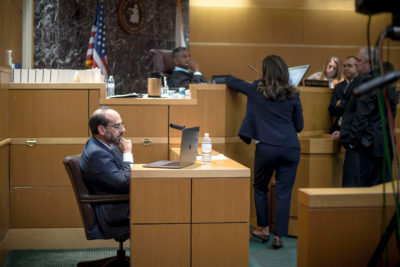 The jury sided with Ayoub over the prosecution’s medical expert, Paul Kleinman, a pediatric radiologist who has produced much of the mainstream research on fractures and child abuse, and acquitted the father of assault and battery related to the fractures. A mistrial was declared on a murder charge. David Armstrong is a senior reporter at ProPublica specializing in health care investigations.